An orchestra of many different elements helped make Star Wars: Episode VII - The Force Awakens so great, and one of the most important things was the sound. Supervising sound editors Matthew Wood and David Acord, along with production sound mixer Stuart Wilson and re-recording mixers Andy Nelson and Christopher Scarabosio all earned Oscar nominations for their work on The Force Awakens. While the film brought back a host of previously heard sounds, it introduced an assortment of brand new ones, all of which had be created from scratch by Episode VII's sound team. The group recently spoke with the Los Angeles Times about their handiwork in The Force Awakens, specifically detailing the development of the now iconic voices of BB-8 and Kylo Ren, among others things. A portion of the interview can be seen below. "For the actors to interact with BB-8, the sound team built a receiver and speaker system into five different set versions. "This allowed J.J. to trigger audio from a tablet or a live microphone depending on the situation," Wilson says. 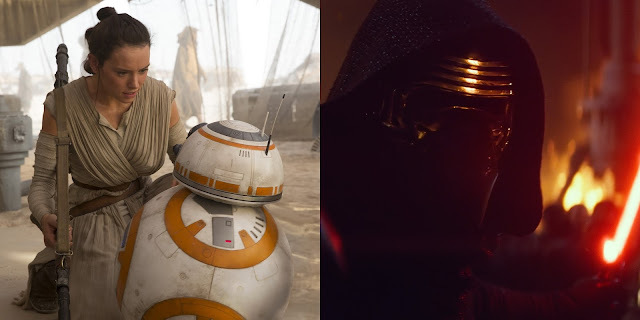 In postproduction, Wood and Acord were tasked with developing BB-8's original sound. "J.J. had a lot of interest in the voice of BB-8," Wood says." ""He wanted it to sound distinct enough so if it was outside the doorway, and you couldn't see it, you'd still know it was him. We set J.J. up with a tactical interface so he could be more hands-on in the creative process and have points to touch on a synthesizer, controlling timbre and pitch. We then brought actors in to guide an emotional beat and refined BB-8 until we found its final audio palette," Wood says." "On set, Wilson placed a microphone inside [Adam Driver's] mask and attached another one to his chest. "Adam has a great voice, and by placing two mics and combining them in phase, it gave it this larger-than-life quality with a lot of bass and presence." Wood then recorded additional dialogue with Driver using the mask's final post processing. "We don't normally do that kind of thing live with an actor, but it allowed Adam to get more into the character and play with it as an acting tool." It was then up to Nelson to make the dialogue audible. "There's a tendency when you hear a line of dialogue a few times that it becomes clearer in your head even if the audience can't. So I became the gatekeeper and stepped in when we needed to lighten up so the audience wouldn't be left saying, 'What did he say?'"" In addition they discussed the sound mix for Finn's introduction into the film and when Rey discovers her powers. It's all very fascinating and I recommend reading the full article here!